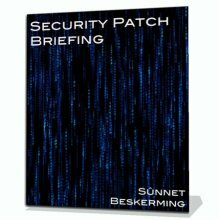 Coverage of important Information Security and Information Technology news and events from the research team at S?nnet Beskerming. S?nnet Beskerming Security reports and advisory content gives you the much needed knowledge and mitigation guidance needed to establish and maintain a functional advantage over the attackers who are seeking to compromise and control your systems and the data on them. Copyright © 2005-2011 Sûnnet Beskerming Pty. Ltd. Design by Andreas Viklund.